Home values are bouncing back—is the trend strong enough to support your bid for a home equity loan? According to the S&P Case Shiller index, sale prices are up 8.1% for the 20 metro areas the company tracks (for the 12 months ended in January). That means it may be an advantageous time to pursue a home equity line of credit for that bigger-scale project you’ve been eyeing. Appraisers rely on recent sales to put a value on your house, so after about a year of steady-to-increasing values, chances are that an optimistic valuation will be accepted by lenders. Still, homeowners and lenders alike are operating with caution, says Brad Blackwell, executive vice president and portfolio business manager for Wells Fargo Home Mortgage. As in the past, two questions are of key importance today: how much can you borrow, and how should you spend your equity? The prevailing rule of thumb is that an individual’s total home debt—original mortgage plus home equity line—should not exceed 85% of the property’s value. For a house worth $200,000 with an outstanding first mortgage of $100,000, the cap for the home equity loan will likely be $60,000. Blackwell cautions, “don’t take out more than you can afford.” You will be paying off the equity loan with earnings, so consider current and expected financial obligations before accepting the maximum amount offered. Plot the financial parameters of the project first, then adjust its scope accordingly. See the latest Cost vs. Value report, compiled by Remodeling magazine, for estimates on the return for various types of remodeling projects. 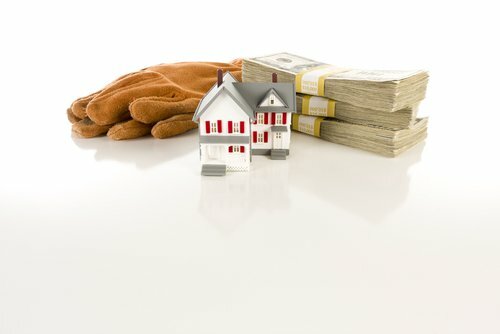 If you limit the amount you borrow and reign in the scope of your remodeling work, you’ll find the sweet spot where investment intersects with higher value.